Community - We are a church seeking to connect with each other. Lenten Soup Supper - each Wednesday during Lent we start with a simple supper of soup and bread at 6:00 PM then move to a short worship service together in the church at 7:00 PM. We are looking for all sorts of help - anyone and everyone can help out even in small ways. This is a meal for the whole family. Sunday Morning Hospitality- Every Sunday morning, you have an opportunity for Christian Fellowship. Between services on the patio, coffee is served, treats are eaten, and bonds of friendship are strengthened. Once a month we have a themed event - something hilarious! Some of our fun themes are National Hot Dog Day and Hawaiian Day. Make Bake & Celebrate- Make Bake & Celebrate is an annual dinner and auction held each year. A unique offering of various items that have been made, baked or donated by members and friends of the church. Enjoy an incredible dinner with friends while bidding on everything from cookies and pies to artwork, dinners to tapestries and everything in between - the sky is the limit! Fun Fellowship Celebrating Father's Day! Social Events- Throughout the year, we like to get together just for the sake of getting together. Sometimes that takes the form of an easy potluck, sometimes it's a catered meal. The results are the same - people coming together to share stories and laughter. Thanksgiving Eve Pie Social and Lenten Soup Suppers are fun yearly events. Check the calendar to see what's being planned right now. Thanksgiving Eve Pie Social- come after our Thanksgiving Eve worship service and enjoy a slice of pie! Team Sports - Mount Cross currently has a men's slow-pitch softball team that plays on Monday nights throughout the year. We're always looking to start a new team. Basketball, kickball, soccer, volleyball - what's your passion? Contact the church office to get involved. 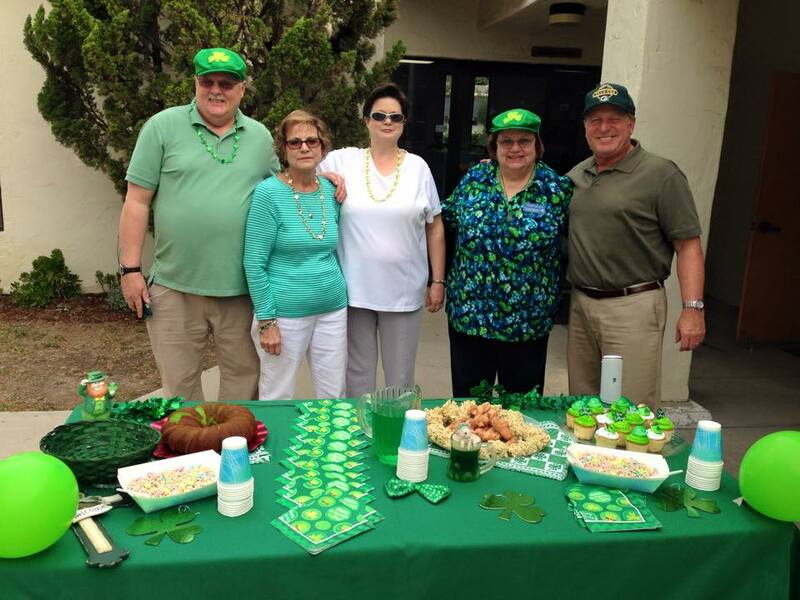 Fellowship & Hospitality on a St. Patrick's Day.